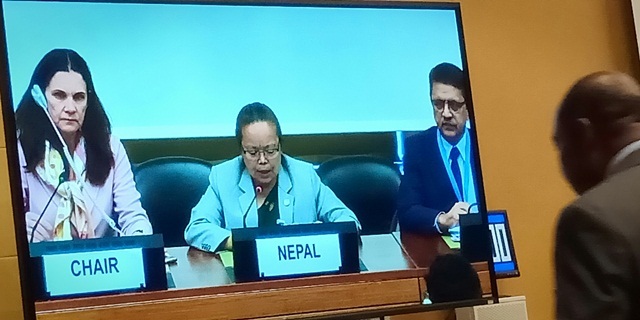 On the 71st session on the Convention on the Elimination of all Forms of Discrimination Against Women (CEDAW) in Geneva of Switzerland, an interaction on 6th report on Nepal was discussed. 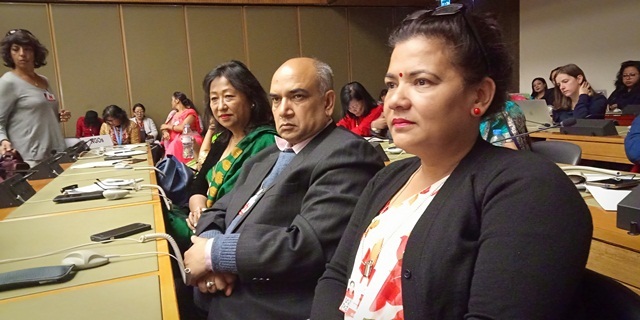 During the discussion session, on behalf of Nepal government, Women, children and senior citizen minister Tham Maya Thapa led high level representatives had participated. The team consisted of Geneva based ambassador Dipak Dhital, assistant secretary Radhika Aryal of the ministry and assistant secretary Phadindra Gautam from Ministry of Law , justice and Parliamentary affair. The session focused on the situation of implementation of Act 1-16 under CEDAW according to Samjha Shrestha of INSEC. 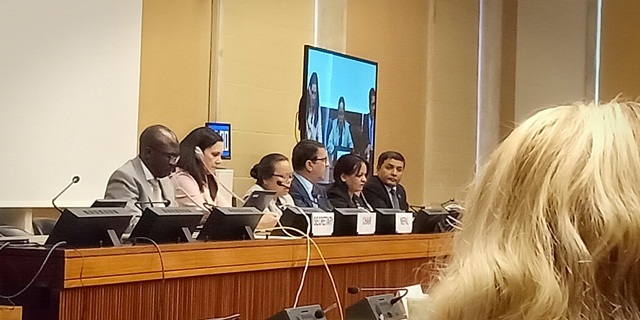 The CEDAW Committee members had raised issues on the implementation of women rights described in the act which was answered by assistant secretary and ambassador on behalf of the representatives. The committee members had raised issues based on ill practices on women and children, women violence, women education, health, access to justice, citizenship on the name of mother and the situation of women rights defenders. Similarly, issues on prevailing child marriage, economic situation of women worker, caste based discrimination, untouchability and situation of indigenous women. The team of representative had answered the questions raised and explained about some positive attempt by Nepal government along with the commitment to solve such issues in the future.